Colliery Rope Splicers Tools. Made from Iron and Wood. 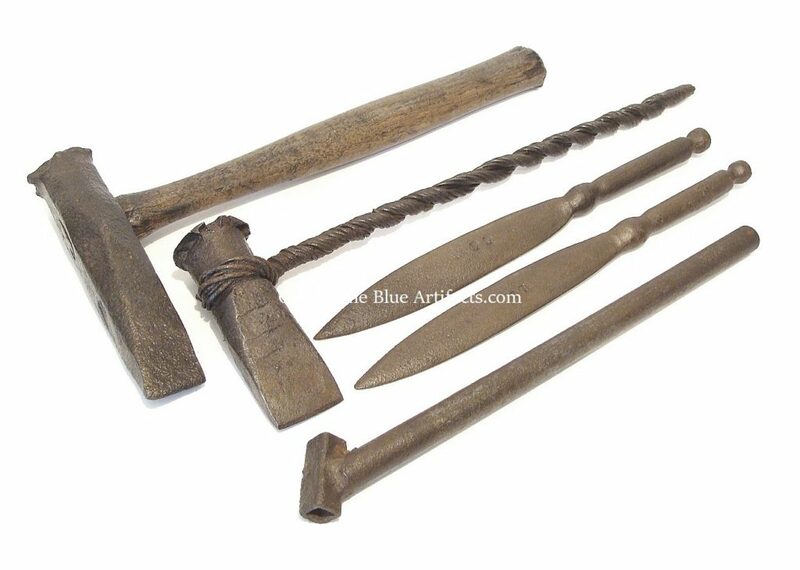 This set of splicers tools consists of a rope Cutting Chisel wooden handle, size 16″ x 7″ inches. 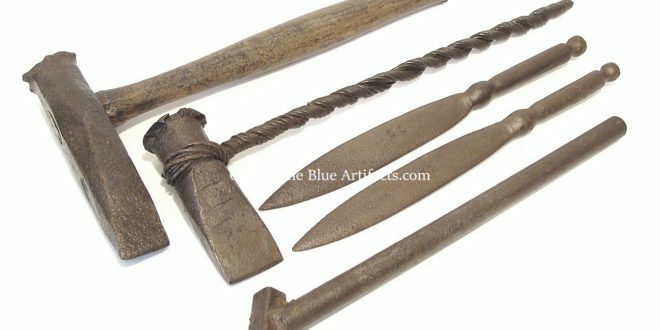 A rope Cutting Chisel wire handle, size 17″ x 5″ inches, 2 Iron Splicers Needles, size 13″ x 1 1/2″ inches. A Strand Twister, size 14″ x 2″ inches. These splicers tools came from Cwmtillery Colliery and Roseheyworth Colliery Abertillery.